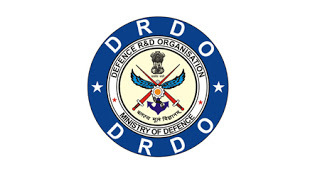 DRDO Jobs Recruitment Notification 2018.Defence Research and Development Organisation, DRDO inviting applications for the positions of Junior Research Fellow.Interested and Eligible candidates can apply for the positions. a. Educational qualification: BE/B.Tech in Electronics & Communication/Instrumentation Engineering in 1st Division with valid NET/GATE qualification. or ME/M.Tech in Electronics & Communication /Instrumentation Engineering in 1 st Division both at Graduate and Post graduate level. 2. Subject/ Discipline: Computer Science & Engineering. a. Educational qualification: B.E/B.Tech in Computer Science in 1st Division with valid NET/GATE qualification. or B.E/B.Tech in Computer Science & M.E/M.Tech in Computer Science in 1 st division both at Graduate. 3. Monthly stipend of Rs.25,000/- + House Rent Allowance as admissible as per rules. 1. Interested candidates may appear for a walk-in interview at 09:00 hrs on 23rd Sep 2018 at Bhavan’s Varuna Vidyalaya in the campus of NAVAL PHYSICAL & OEANOGRAPHIC LABORATORY, THRIKKAKARA P.O., KOCHI 682021. They are required to produce all certificates/testimonials/Community certificate / valid GATE/NET Score card etc. in original at the time of walk-in interview. They must also bring a set of self- attested copies of all their testimonials/certificates and an ID proof (Voter’s ID/ Aadhar card/Pan card/Driving License) along with one recent colour passport size photograph at the time of interview.